Oneonta High School junior Kendall McCay earned the honor of playing in the prestigious Lee University honor band Nov. 15 through Nov. 17. Under the direction of nationally renowned conductor/composer Dr. David Holsinger, McCay was one of six trombonists chosen. The journey for this honor began when McCay was selected to take part in the all-state band, which he has been a part of for two years. From there, 70 students were chosen from 30 different schools in seven states. This is McCay’s second year to be selected as part of the Lee University honor band. 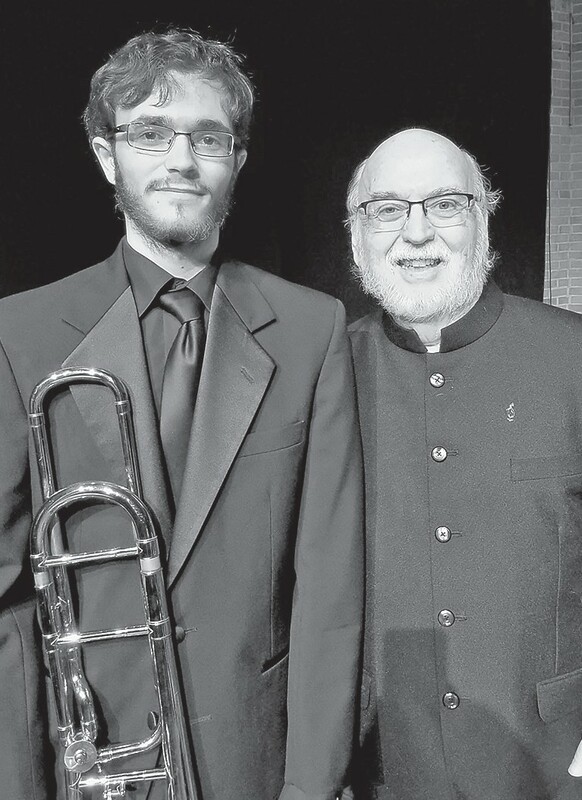 McCay, who aspires to major in music education upon graduation, has been very active in pursuing his dream of playing in a major symphony orchestra and teaching music education. In addition to being a member of the Oneonta Redskin Marching Band and Symphonic Orchestra, he has been a member of the Etowah Youth Orchestra for three years, a member of all-state for two years, a district honor band member for five years, and a participant of many collegiate honor bands throughout the state. McCay was most recently selected as one of four trombones for all-state orchestra.